A the start of the week I posted an image of an a echidna - and a reasonable number of people seemed not to know what it was. I'll admit that it was a picture from behind, and that it is not in the running for any major (or minor) photographic prizes, but I thought this strange, if iconic, beast would be a bit better known. So, I have sorted through the archives to find some more images. The Short-beaked Echidna is a monotreme, which means that it is an egg laying mammal. 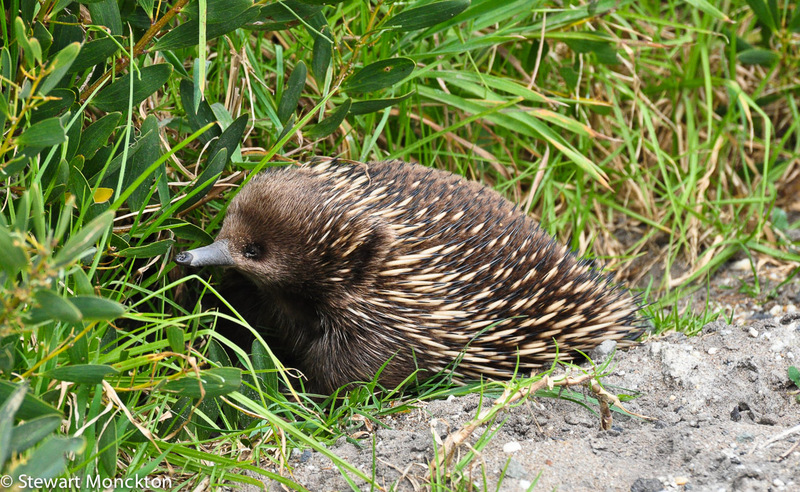 The female lays a single egg from which hatches the young echidna hatches about 10 days later. The youngster is then carried for about 50 days in the pouch. 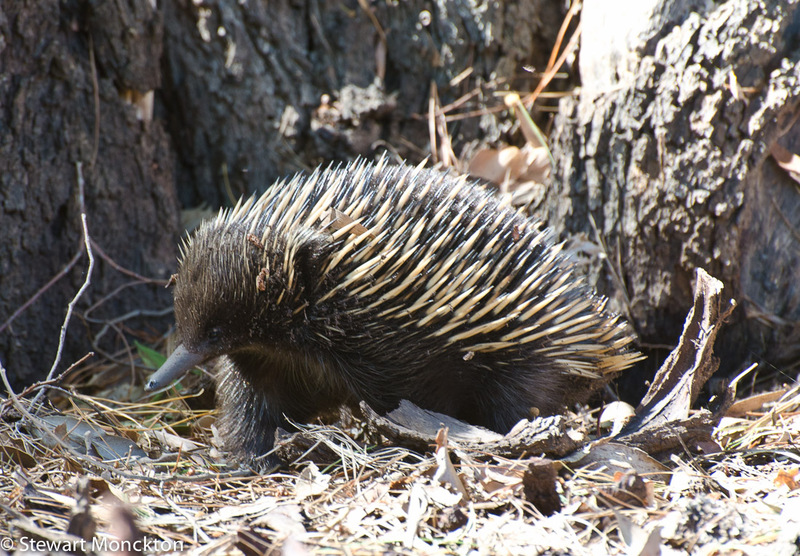 It is only after the youngster - called a puggle - leaves the pouch that it starts to develop spines - which is probably a relief to the mother. 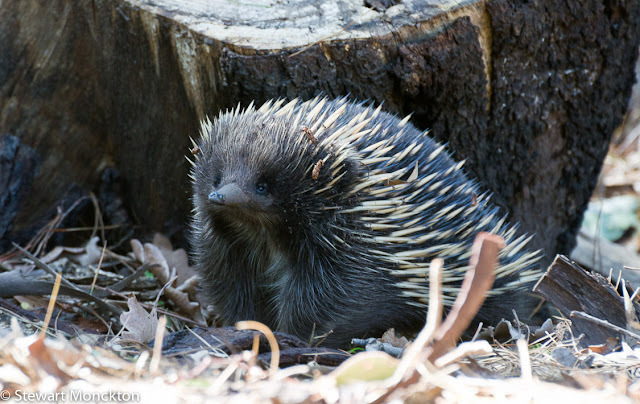 While in the pouch the young echidna suckles milk directly from 'milk patches' in the skin of the mother. As an adult the echidna is a toothless specialist feeder on ants and termites. 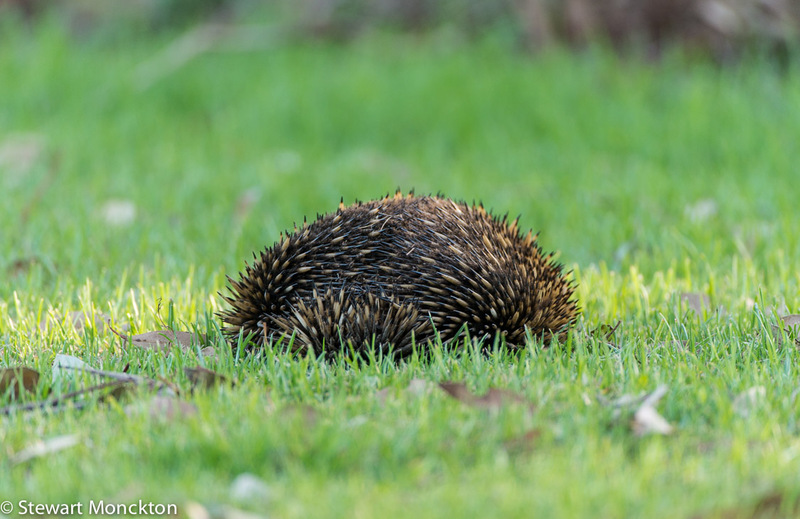 One of its more well known adaptations is its defence behaviour, where it buries itself in the ground and presents whatever is traumatising it with dome of sharp spines. 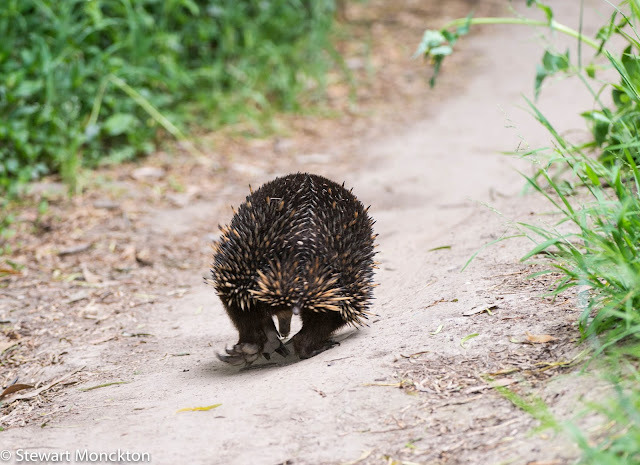 Watching an echidna do this is rather amusing, as it seems that they just sink vertically into the ground. Once they have adopted this position, they seem to have almost infinite patience to out-wait what ever disturbed them - including would be nature photographers! I have posted some of these images before, hope nobody minds! 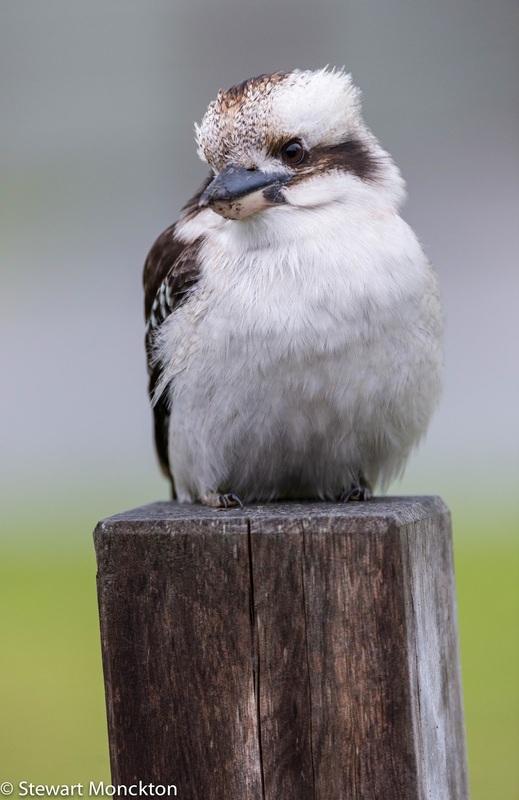 The Laughing Kookaburra is a bit of an Australian icon. Its call - so well described in its name - is often the herald of both ends of the day. 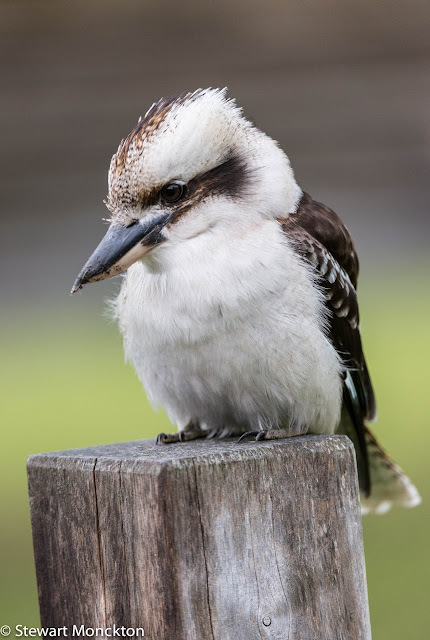 It comes as a surprise to some people find out that the Laughing Kookaburra is in fact a kingfisher. There is a second species, the Blue Winged Kookaburra, further north in Australia, but it does not occur on my local patch. 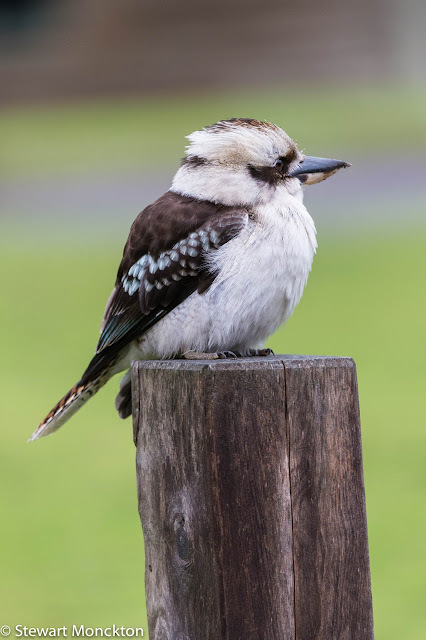 Another thing that many people find surprising is that the Laughing Kookaburra is in fact an introduced species in some parts of Australia. 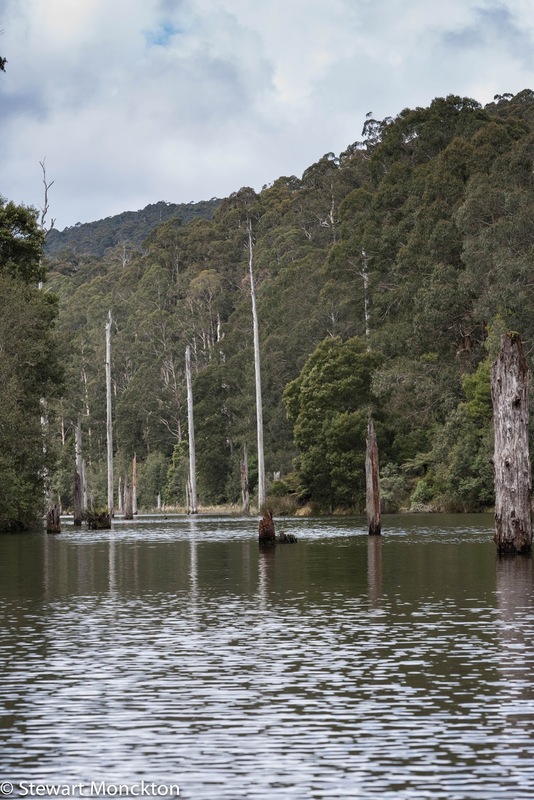 It did not naturally occur in either Tasmanian or Western Australia, and is only found there because of human intervention. These pictures were all taken at Tidal River, at Wilsons Prom National Park. This rather fine fellow was hunting for (I think) worms that were coming out of the grass after a night of heavy rain. While he (or she) was happy to sit on the post while I was watching, he would only swoop down to collect food after I had retreated a bit - as a result the pictures are not much chop! 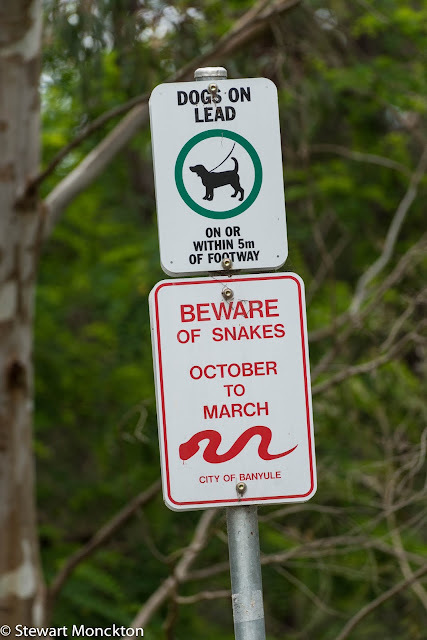 Australian wildlife seems to come in three broad categories - the dangerous, the mythical and the strange. When I was out and about this weekend I came across evidence of all three sorts! 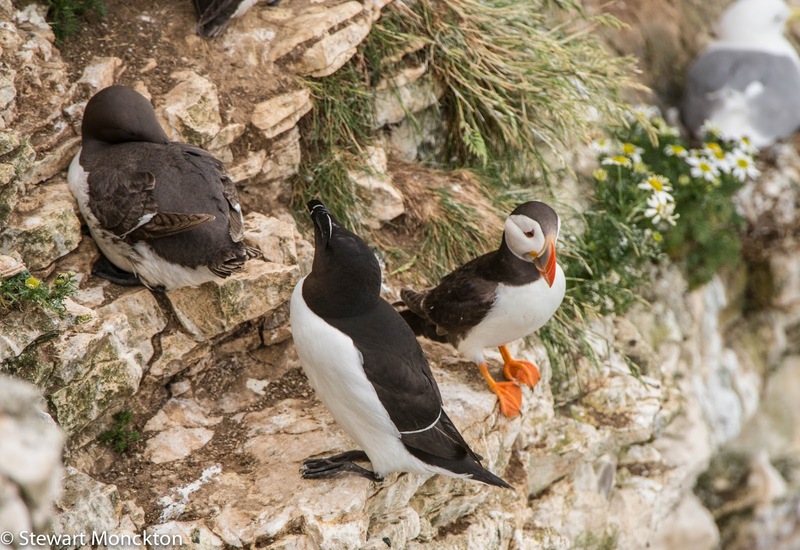 When I was at Bempton Cliffs earlier this year I managed to get views of Puffin, Razorbill and Guillemot all sitting on the same ledge. I have to say I was rather excited about this, which is more than can be said for the Guillemot, which is asleep! You could tell who were the really keen birders on the cliffs that day, as seeing all these birds in one place is not really that common. 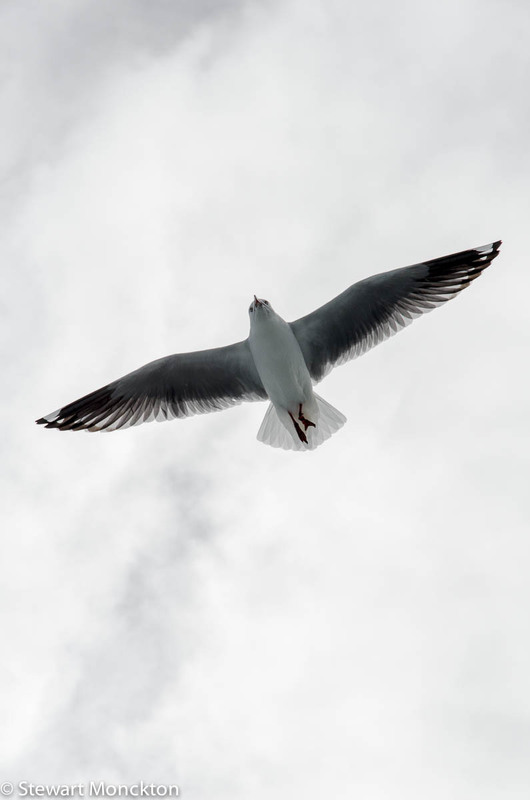 For the completists amongst you, the bird in the background is a Kittiwake - which in some parts of the world is called a Black-legged Kittiwake. 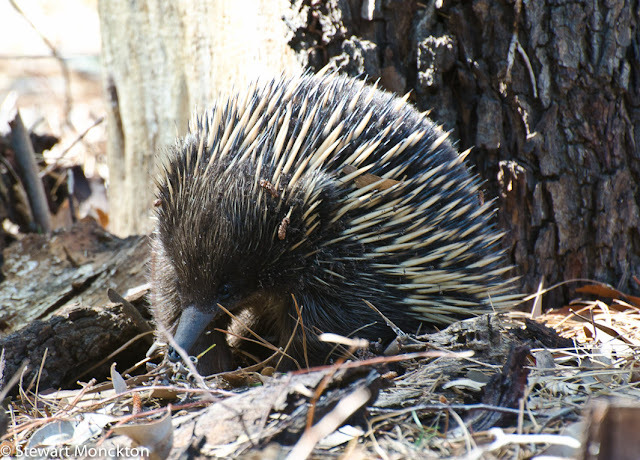 You can find more creatures (or possibly critters) from around the world at Saturday Critters over on Viewing Nature with Eileen. 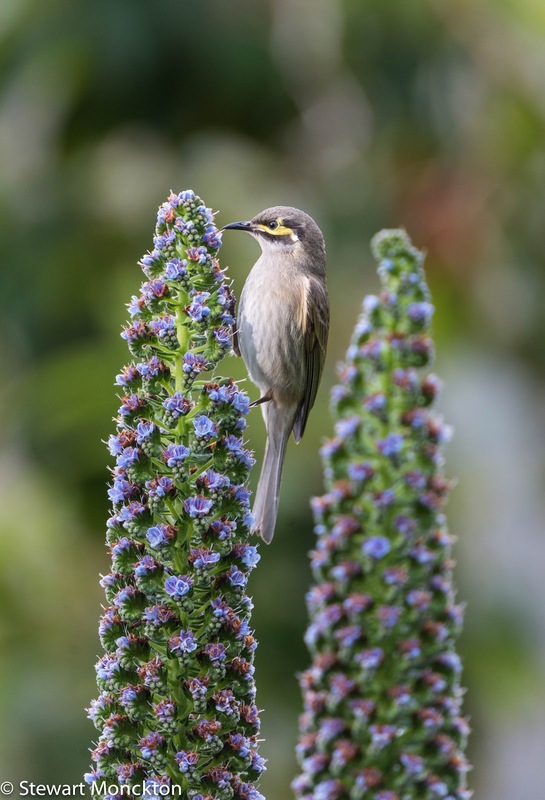 The garden in the house we stayed at near Apollo Bay was a bit of a bird hot spot when I come to think of it. My time perched on the veranda, trying to look inconspicuous, yielded some nice views and pictures of the passing birds. I'm not sure that dressing all in green and brown made any difference, but it made me feel like I was making an effort and not just sitting there hoping for the best!! One of the birds that liked the blue flowers (does anybody know what they are?) was the Yellow-faced Honeyeater. I am not sure how many of these birds there were in the garden - at least 3 or 4 I would think. 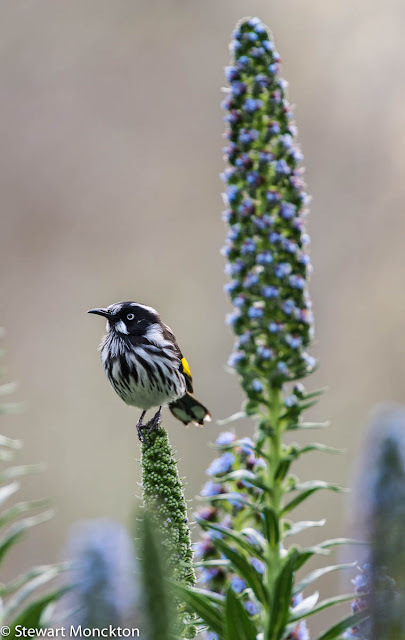 The bird is described in the guide book as 'charming' - and I can't help but agree. 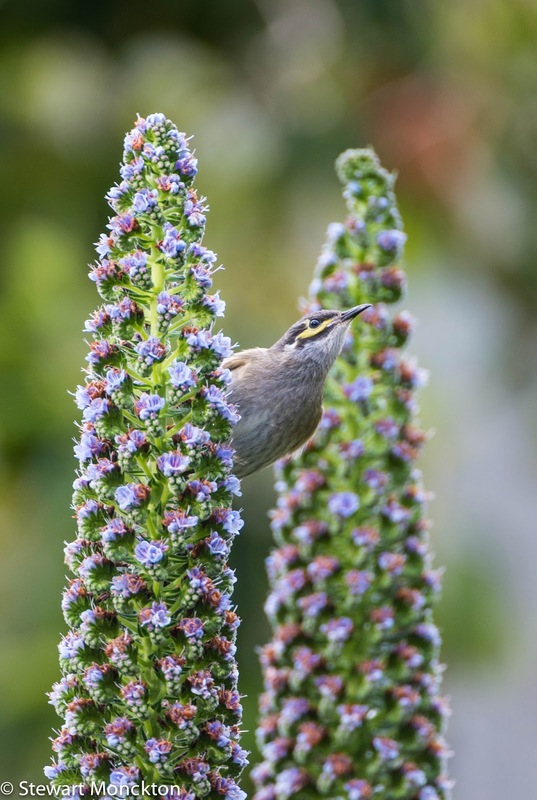 Both the common name and its formal name - Lichenostomus chrysops - refer to its yellow face. This bird is common along most of the eastern side of the country, although this is the first time I have got any decent shots of one (or five, as the case may be!). Looking for something - and not finding it! 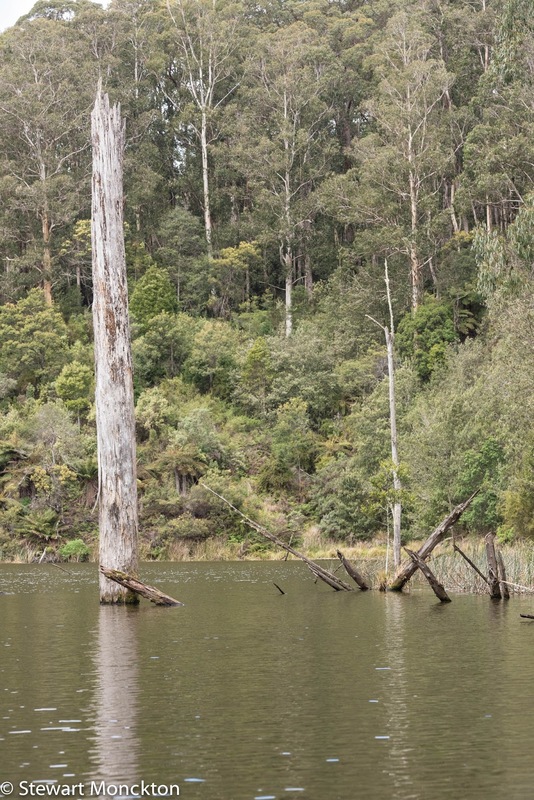 When we were down at the Otways, I spent an afternoon at Lake Elizabeth looking for platypus. It was the wrong time of day really - dawn and dusk are better - and the sky was not overcast enough to lure them out for an afternoon swim - but, if you don't go and try you can be sure you will fail. Which I did anyway! 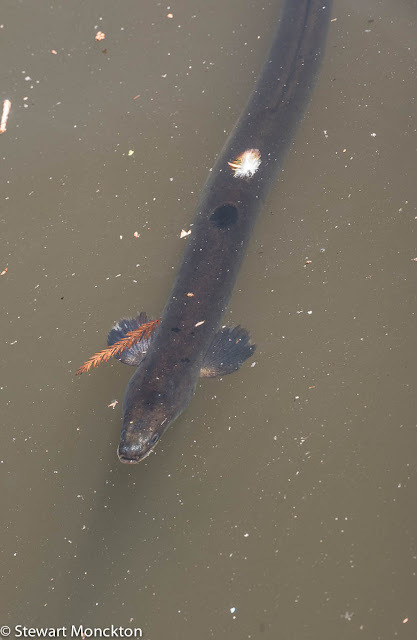 I took a few pictures anyway - and at the end of the post I have included the only picture of a platypus I have ever managed to get. It was taken at Lake Elizabeth a couple of years ago. I can feel a weekend stake-out being planned for late autumn. 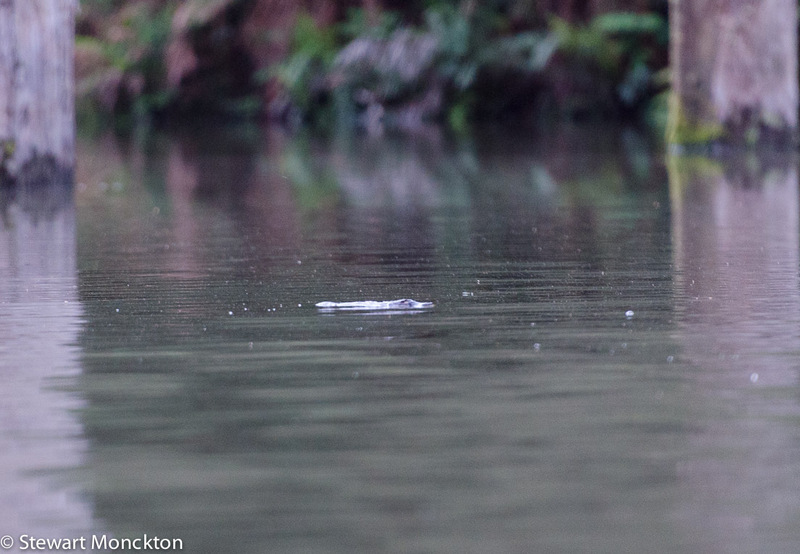 That small floating log thing in the middle of the picture really is a platypus - better luck next time for me I hope! I have mentioned on more than one occasion that I seem to find it hard to get pictures of birds of prey - even common ones. 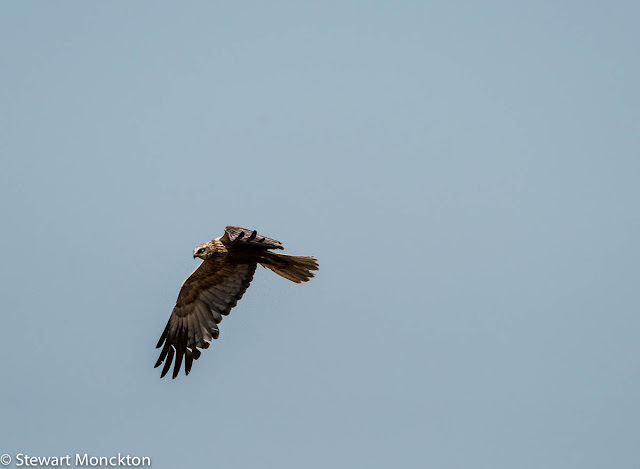 So, it came as a bit of a shock to me when I realised that I had not posted some pictures of Marsh Harriers that took on my recent trips back to the UK. I think I may have been over excited by the whole trip! 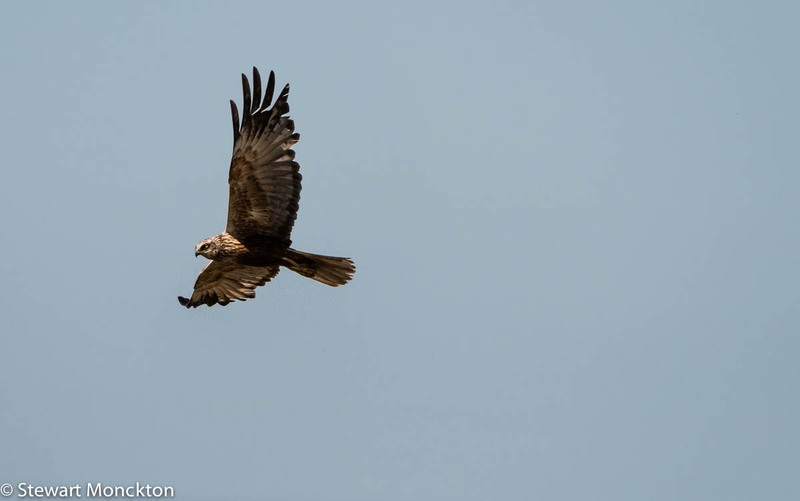 When I was a kid I would look at bird books - probably the Observers Book of Birds - and wonder what the chances of ever seeing birds like Harriers were like. And in all truthfulness I considered the chances very low. So, to this day I still get a huge kick out of seeing these birds, that at one time I considered to be essentially mythical! In most cases I have seen these birds on RSPB reserves - what wonderful places! 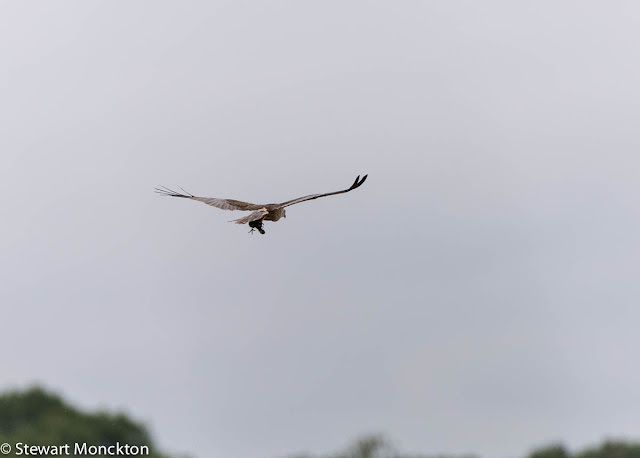 This is a rather distant shot of a Marsh Harrier with a small bird in its claws - as far as I can tell its a Moorhen chick. 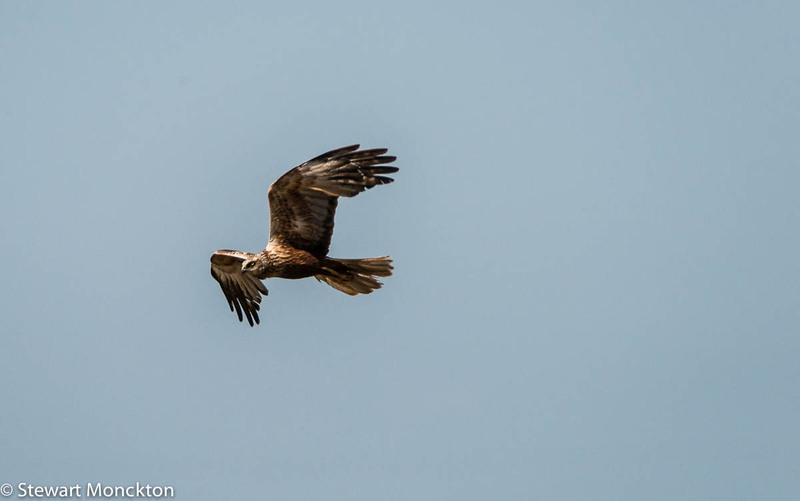 This shot was taken at Leighton Moss, in Lancashire, which, for a number of years was my local reserve. 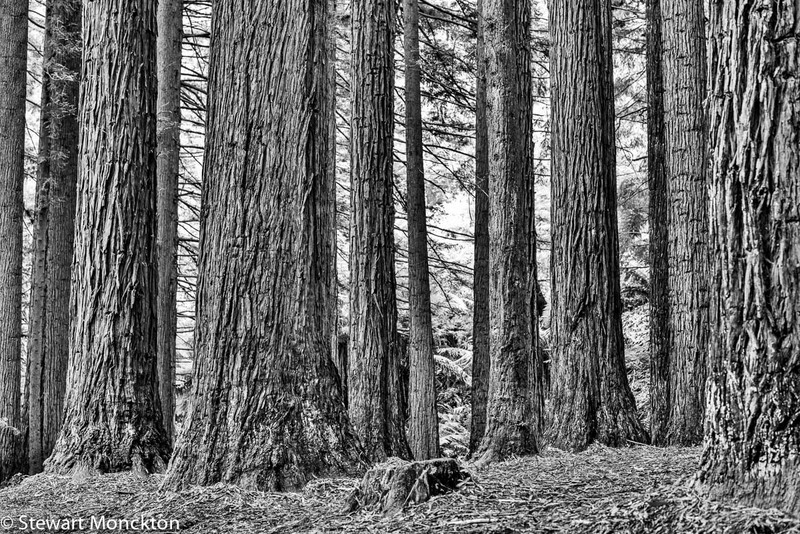 These three shots were taken at a reserve I had never heard of until I went back to the UK earlier this year. Its called Blacktoft Sands, and it's near Goole. This bird did not like coming near the hides, and when it finally did I was not really ready, so the picture are not as sharp as they could be - but I still like them. I think seeing any large predator in the wild is a real treat - and these birds were no exception. We spent a rather relaxed morning this weekend wandering about the Royal Botanic Gardens in Melbourne. 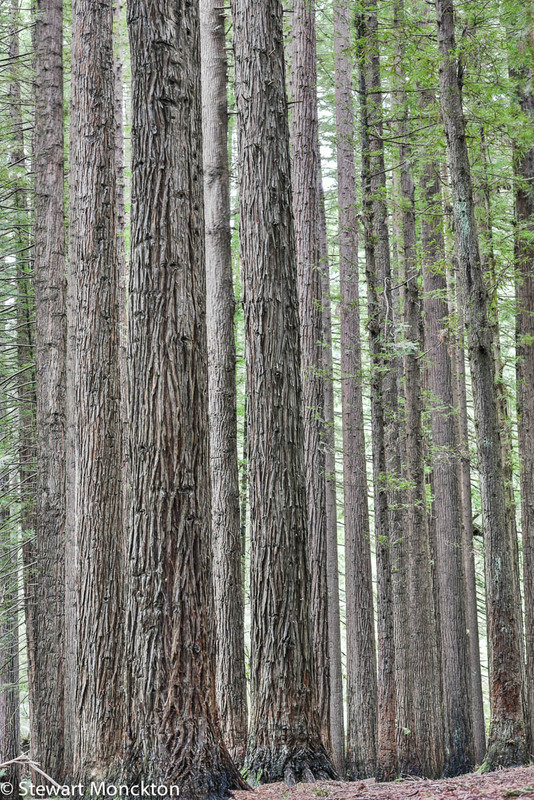 While it's a great place to see plants (what a revelation!) it also has some other 'wilder' wildlife. 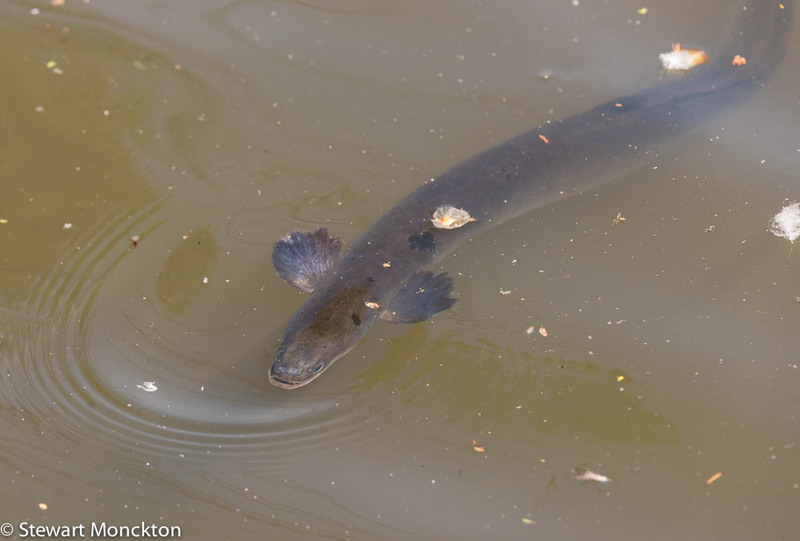 And the ones we had come to see were the Short-finned Eels that live in one of the ponds. The gardens were built on wetlands associated with the Yarra - that's Melbourne's river - and the eels never moved out as the exotic plants moved in. These eels can grow to more than a meter in length - although I don't think this one was a little bit shorter than that. 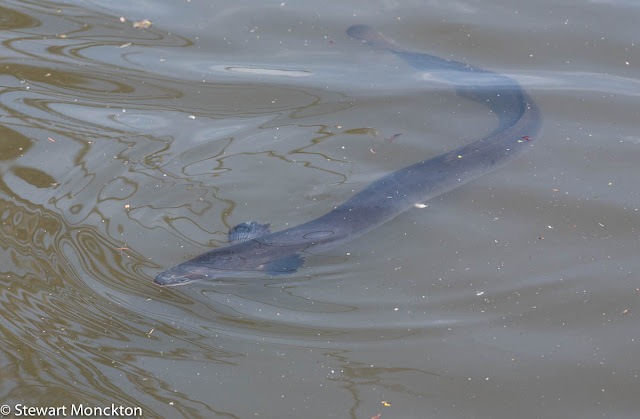 They may not be everybody's idea looking fish - but they are more than a little different! Not all skies are blue. Some are grey. And some are seen through Silver. 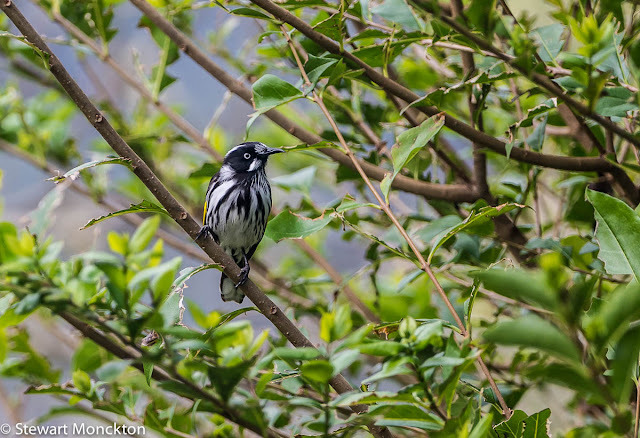 This is a bird I have been trying to get some pictures of for a long while - it's not that its rare, it's just that I don't seem to see them up close very often. 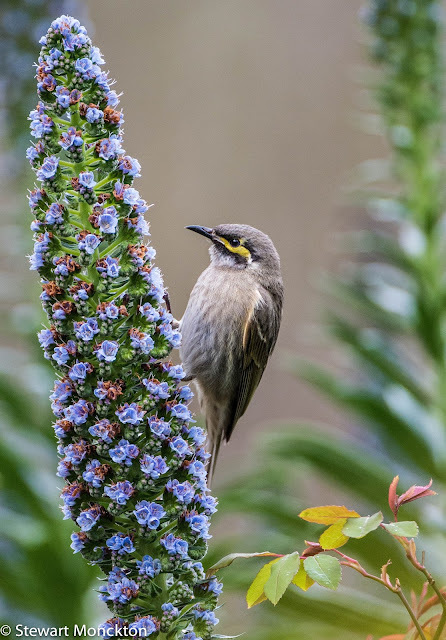 The garden in the house at Apollo Bay had a resident pair of these birds (as far as I could tell) and while they were still a bit nervous, I did get some shots by waiting (and waiting) on the verhadna overlooking the garden until the birds started to ignore me. 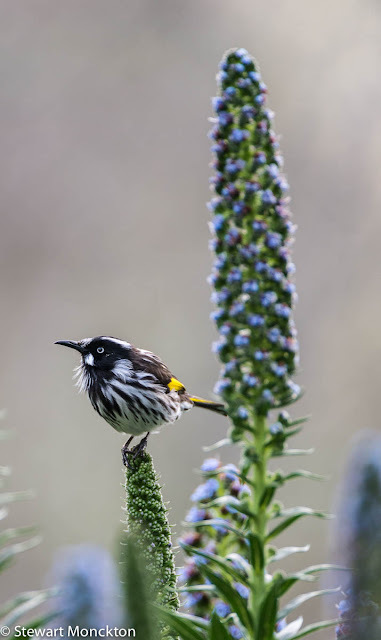 New Holland Honeyeaters are a smart little bird about 18 cm long. 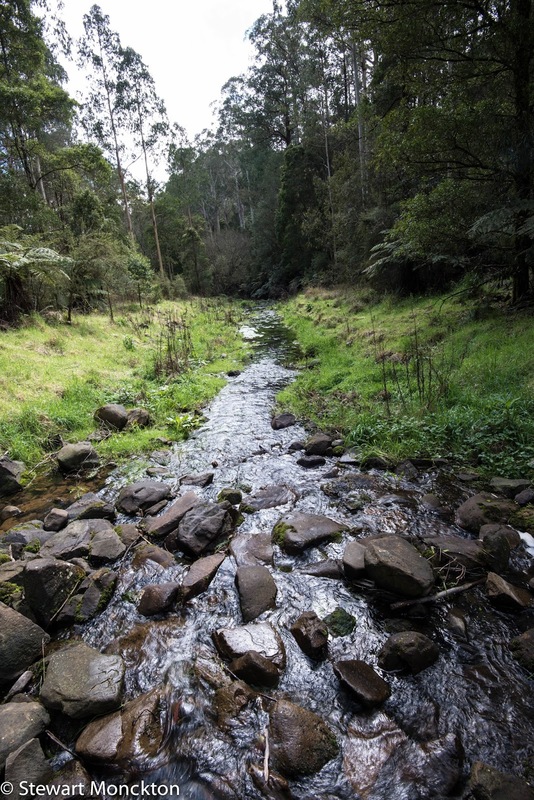 I tend to associate them with places close to the coast, but in reality they can be found further inland. That being said, their distribution does hug the south coast of the country. 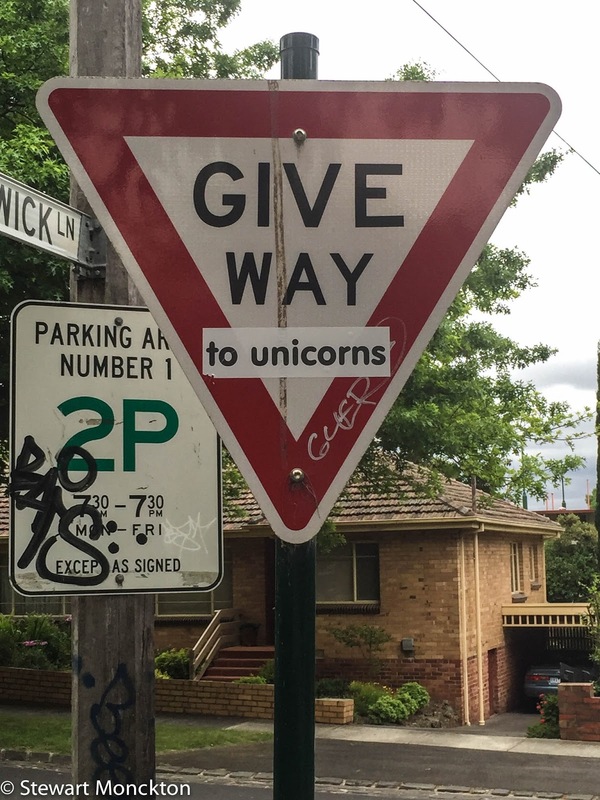 Unless you happen to live in the Australian region - i.e. Australia, NZ, New Guinea or a few small Pacific Islands (specific Pacifics I suppose!) 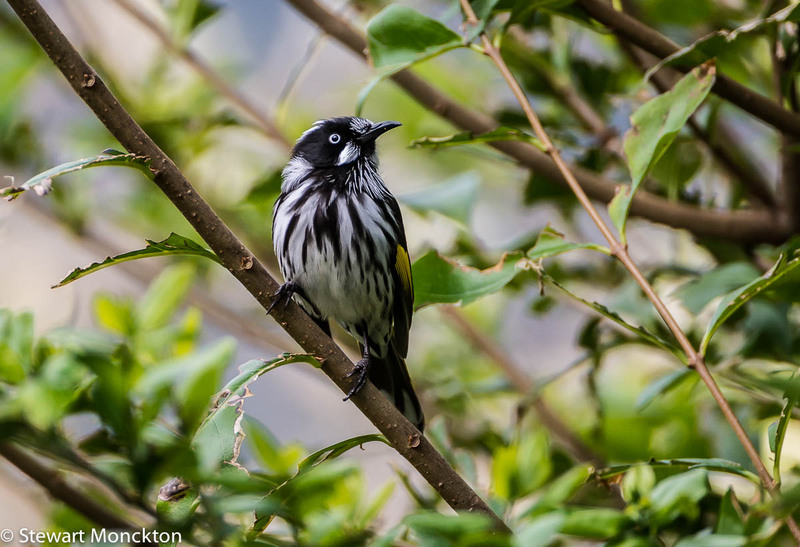 you will not see many Honeyeaters as they are restricted to this area. 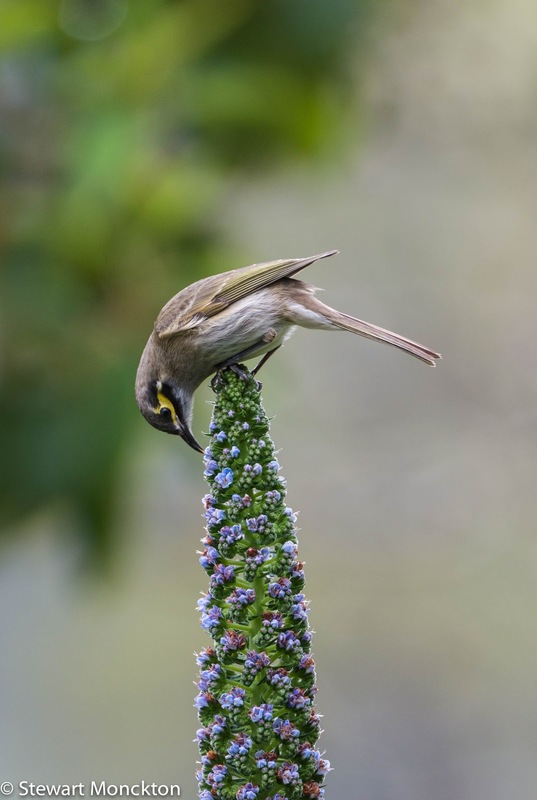 They don't really eat honey, but do eat nectar and other sweet fluids produced by plants. Because this diet is very low in protein, many of the Honeyeaters will also eat insect. 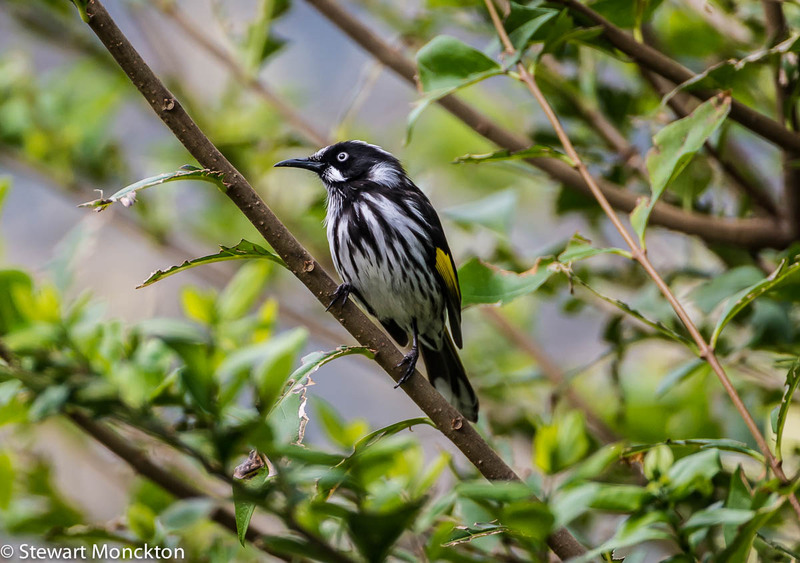 So, enough of this - I give you Phyidonyris novaehollandiae - the New Holland Honeyeater. Now its your turn - and once more, I would invite you to tell fellow bloggers you know who may be interested in such things about the wonder that is WBW! So, off you go! The Otways are both a range of hills and an area of cool, termperate rainforest. Apollo Bay, where we stayed in the school holidays is one of the larger settlements on the coast of the Otways. 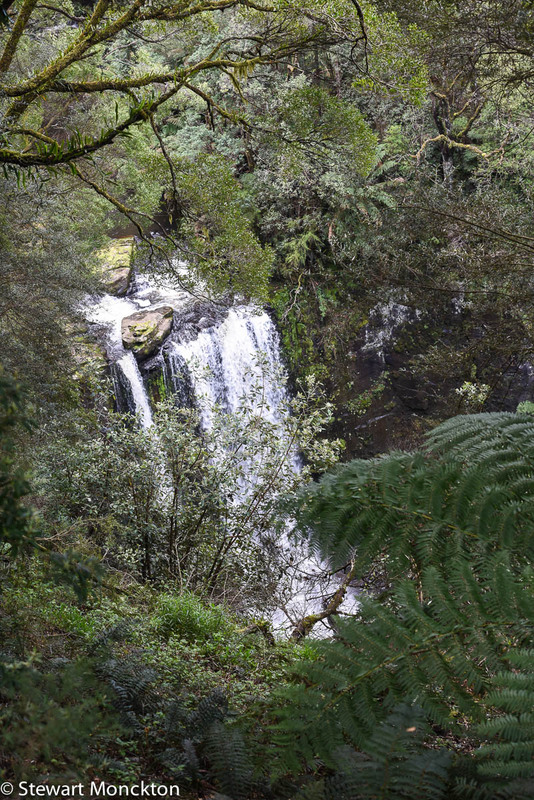 Given that the area supports rains forest is hardly surprising that it get a decent amount of rain - and where you have rain and hills, you get waterfalls. 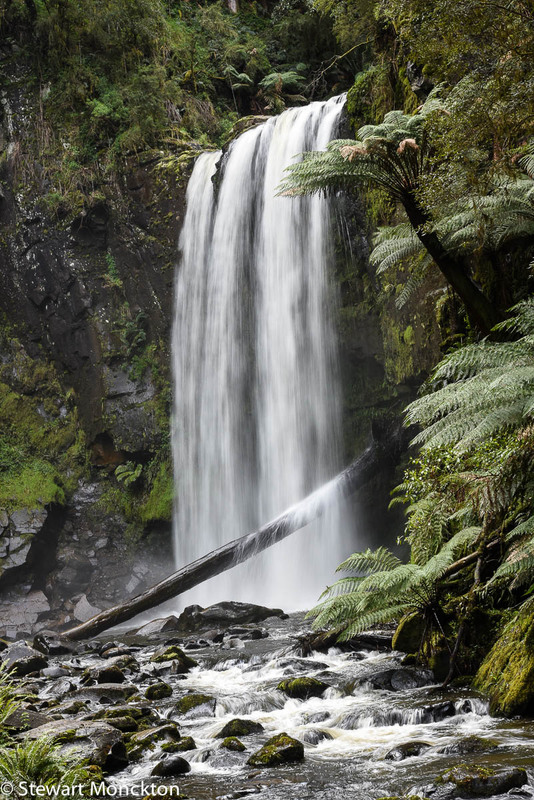 This waterfall is called Hopetoun Falls and it is only a short - but steep - walk to the base of the falls from the carpark. The whole area is wonderfully cool and green. 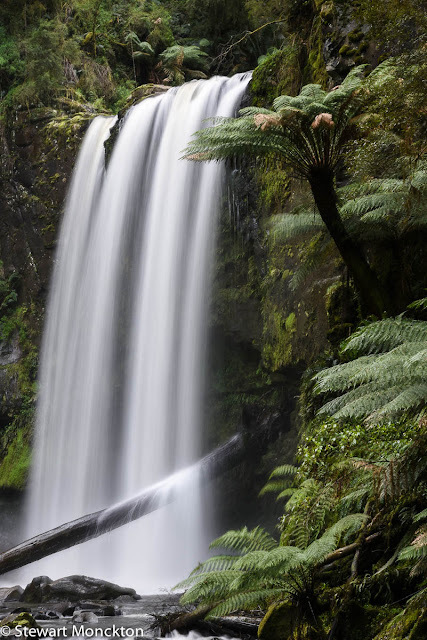 In many ways that Otways are similar to the forests of the Pacific Northwest of the USA - and there is another American connection just down the road for these falls. 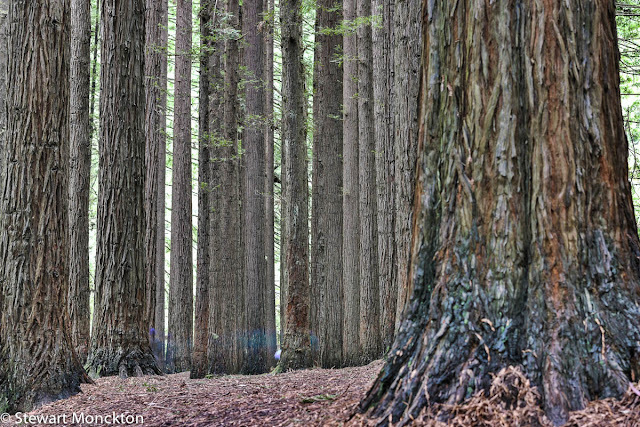 In the 1930 a number of plantations of Californian Redwoods were planted in the Otways - and some of been left more or less undisturbed since then. Many of them have reached a height of 60 m and some people think that given time (and a bit of luck) they may one day be has tall as the trees in their native lands. Now that would be a sight to see. I have converted one of the images into black and white. 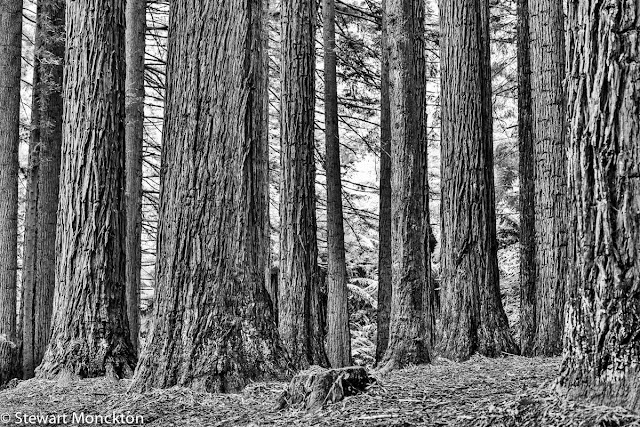 In the final image you can see the 'ghosts' of people moving between the trees - this is what happens when you use a 2 second exposure. I have to say it was pretty dark under those trees. I may be cheating a bit here, but as I can see the sky in these pictures I post them today! 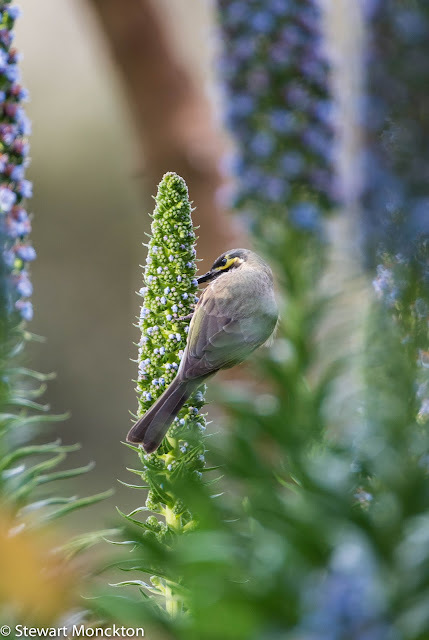 When I was down at Apollo Bay I was playing with the camera on my phone - some of the things that these cameras can do are remarkable. Although I don't feel any imminent need to sell my DSLRs! These do need to be clicked on to see them at their best.